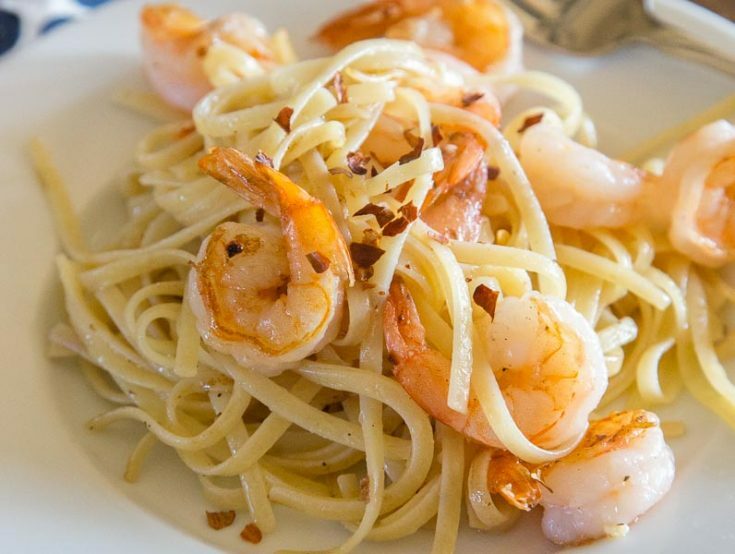 All the tips and tricks you need to know how to saute shrimp for pasta! 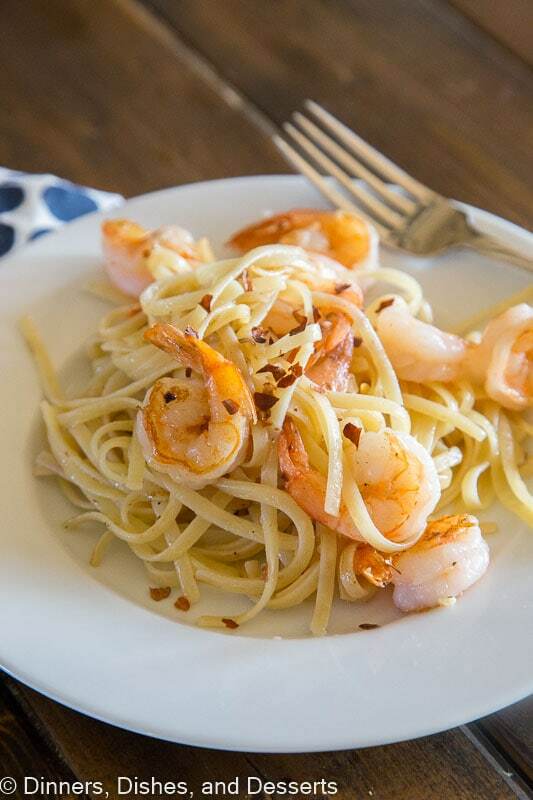 A comforting shrimp pasta is just minutes away. 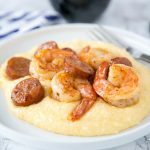 Sauteed shrimp has to be one of the quickest and easiest dinners out there. 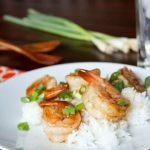 Shrimp cooks in just minutes and is tender, juicy, and will take on anything you flavor it with. 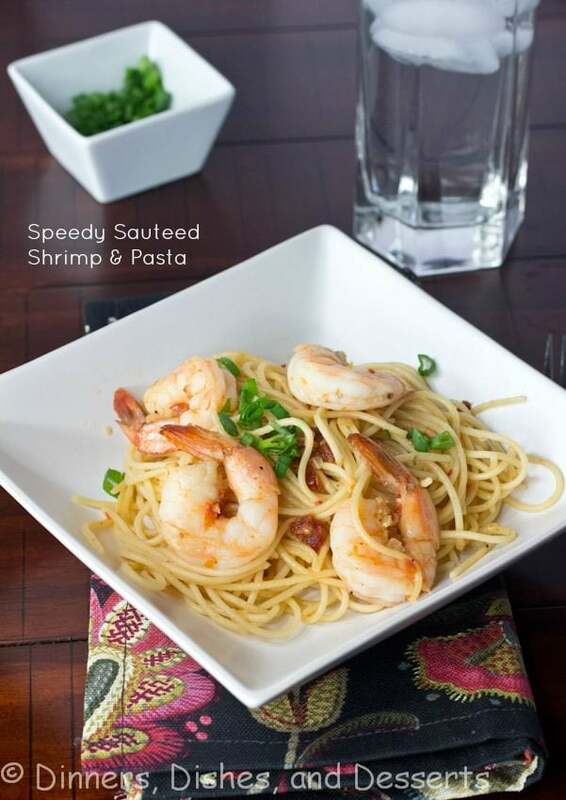 Speedy Sauteed Shrimp Pasta is a great dinner for busy weeknights. You can get dinner on the table in the time it takes to boil water and cook pasta. You can’t say that about too many recipes. But people get scared when it comes to cooking shrimp. 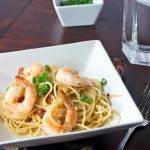 So let’s go over a few tips on How to Saute Shrimp for pasta. Pat the shrimp dry. 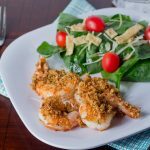 You want to use thawed shrimp that has been peeled and deveined. 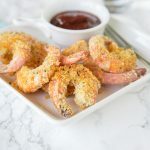 The first step is to place the shrimp in a single layer on a plate or baking sheet, and then use a paper towel to make sure the shrimp is dry. Use fat. 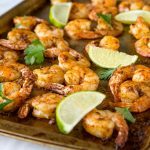 You will need to use oil or butter to saute your shrimp. 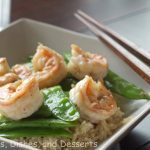 Shrimp is pretty bland on its own, so it definitely helps add flavor. It also helps brown and cook the shrimp quickly without burning it. Season. Depending on what kind of pasta you are making, you can go basic with salt and pepper or go crazy. You can use cilantro and lime, chili powder, cajun seasoning, garlic….you name it. Do not over cook. 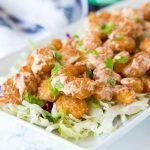 Shrimp goes from done to over done quickly. You want to keep an close eye on it. As soon as the shrimp turns pinkish on the outside and white/opaque in the center it is done. Lemon Garlic Shrimp would be great tossed with pasta to serve. Just toss together when the shrimp is cooked, and you have a full meal. 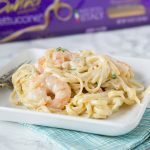 Or you can go all out and make One Pan Fettuccine Alfredo with Shrimp. You can mix up the flavors and the sauce pretty much any way you want. Shrimp and pasta are a blank slate, so season and flavor to your hearts content. Bring a large pot of water to boil, and cook pasta according to the package directions. Heat a large skillet over medium high heat. Season shrimp with salt and pepper. Add butter to the pan to melt. Add garlic and cook for 2 minutes until fragrant. Add shrimp to the pan and cook for 3-4 minutes per side until cooked through. Add cooked pasta to the pan, tossing to coat. 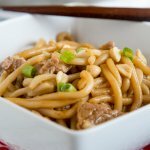 This is perfect for my repertoire of quick and yummy meals! 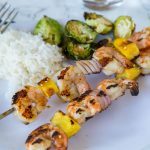 On of my favorite go to meals – light with a super healthy protein! 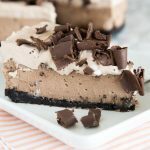 This is a great how-to post! With delicious results! The butter and garlic in this dish alone have me drooling! 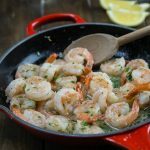 These are great tips for sauteing shrimp! 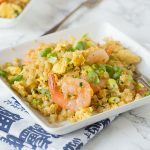 And this is a dinner that would be great on busy weeknights since it’s so easy to make! So easy….I can see this on my dinner table this week.